There's no longer a need to settle for run-of-the-mill tile. Tuscany Tile & Design, Wilmington, North Carolina's original high-end, direct importer of custom tile, searches the world over to bring you the world's finest tile and stone. 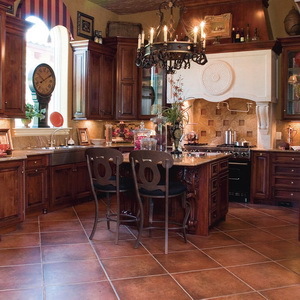 If you love the look of a grand villa in the Italian countryside, Tuscany Tile can create this lovely vision for you. Not your style? Visit one of their showrooms to see tile from their many prestigious suppliers to jump-start your imagination. Staying true to the classic form used centuries ago, Tuscany Tile & Design is the complete resource for your tile and stone needs. With a staff of talented and creative designers, Tuscany prides itself as being "able to work with and assist the customer, walking them through the design process to the end product they desire." While most of Tuscany Tile & Design's work has been in the Wilmington area, the company also has been providing tile and design ideas to the luxurious homes in Grande Dunes in Myrtle Beach. Tuscany Tile recently was commissioned to supply the tile for several new and innovative resorts in the Myrtle Beach area. Tuscany's combination of quality tile and affordable prices has made its products the no. 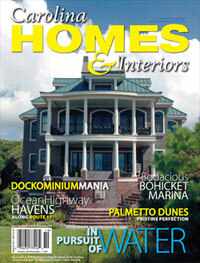 1 choice for many of the area's architects, designers and home builders. Tuscany Tile & Design recently introduced a new line of metallic and natural stone decorative borders, as well as crackle glass tile from the Prism series offered through Allante International. Importing from a dozen factories from all over the world, including Italy, Spain and Argentina, the store's product line includes tile, stone, glass, hand-carved marble sinks and fireplaces. With showrooms in Wilmington, Ocean Isle Beach and Myrtle Beach, Tuscany Tile & Design has grown over the last 10 years, but its attention to detail and craftsmanship will never be compromised. With Old World charm, a twist of modern sophistication and factory-direct prices, Tuscany Tile & Design can turn your home or business into the grand villa you have always wanted.